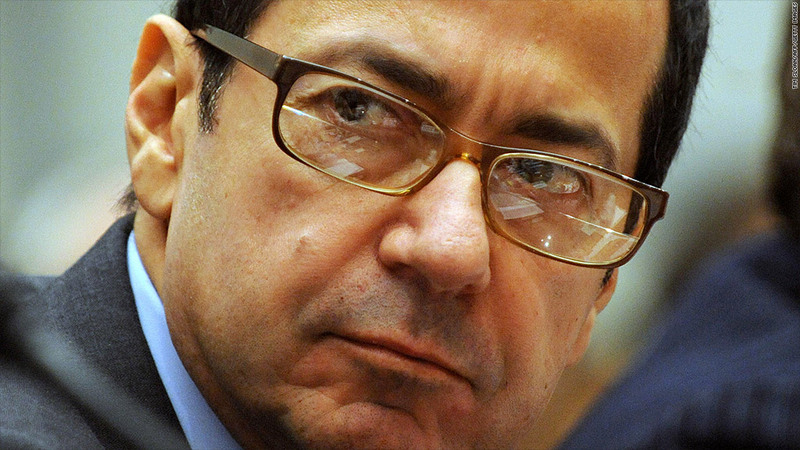 John Paulson's fund dragged down hedge fund industry average in 2012. Overall Paulson's funds generated returns of 1%. What does it take for a hedge fund to beat the overall stock market? Harpooning JPMorgan's London Whale? Nope. Despite sniffing out and profiting from JPMorgan's bet on an obscure credit derivative index, Boaz Weinstein's Saba Capital appears to have lost money for investors in 2012. The fund lost 2.7%, through the end of November, according to a person familiar with the fund's returns. Saba Capital hasn't finalized year-end numbers yet. Notorious short seller David Einhorn may be able to make stocks turn on a dime, but when it comes to his own fund, Greenlight Capital, he doesn't have the same Midas Touch. Einhorn only handed investors 8% in 2012, far below the S&P 500's 13% gain. All of the funds in this article were contacted and declined to comment on their returns. John Paulson, the man behind what's been called the "greatest trade ever" against subprime mortgages in 2007, also disappointed investors with returns of just 1%, on average, across his five funds. The Advantage Fund, once Paulson's largest, was among his worst performing funds, generating losses of 14% in 2012. That was at least better than 2011, when that fund lost more than 35%. While some famed hedge fund managers managed to generate big gains for investors, the average hedge fund returned just 6.2% in 2012, according to Hedge Fund Research. With all three equity indexes up between 7% and 13%, that batting average could be called mediocre at best. "A lot of funds were perplexed and puzzled by where the market was going last year and were afraid to go long or short," said Howard Eisen, managing director at Conifer Group, which performs brokerage services for hedge funds. Despite the meager returns, investors aren't fleeing. Hedge funds still managed $1.8 trillion of assets as of Sept. 30, 2012, according to research firm BarclayHedge. So the real question is why invest in hedge funds at all? Compared to mutual funds that take a 1% fee on the money they manage, hedge funds generally charge fees of 2% whether or not they generate a profit. From there, managers take an additional 20% cut of any profits. The short answer is that pension funds and many endowments are desperately seeking yield in a low interest rate environment. Many fund advisors say that pensions would rather gamble on a big return and come up short than invest in a more stable security that won't give them the returns they need to keep pensions funded. And to be fair, there still were some stars. The better performing funds typically were those that focused on high-yield or distressed bonds. Junk bonds had an epic year. Bold bets on Greece's sovereign debt helped Third Point's Dan Loeb generated 21.2% in 2012. Funds that invested in subprime mortgages also won big. SAC Capital, now under investigation for insider trading, also paid out handsome returns of 13% in 2012. With the SEC circling though, that may not be enough to keep investors in the fund. For underperforming hedge funds and those with regulatory challenges, Feb. 15 will be a day of reckoning. That's the final day for investors to request a so-called redemption, or withdrawal for the first quarter.